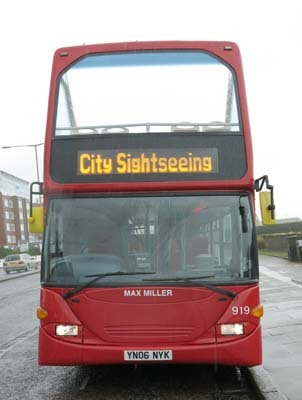 Connections with Brighton and Hove : Born Thomas Sargent in a Brighton back street in 1895, the young comedian changed his name to Max Miller and topped the bill in music halls for the best part of half a century. 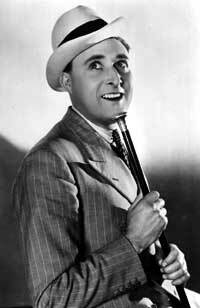 He joined Billy Smart’s circus as a boy and went solo during the First World War when people began to call him the Cheeky Chappie. 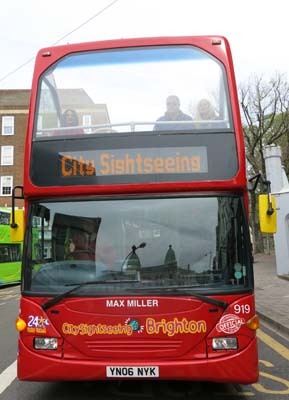 Miller achieved national and even international fame yet never lost his Brighton roots. He lived in or near the town for most of his life and even had a clause built into his London contracts that he should be able to catch the last train back to the coast. 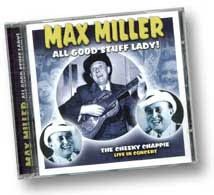 Miller was the master of the double entendre and innuendo. He was never directly lewd although his near-the-knuckle humour got him into trouble with the BBC. He made some films and appeared frequently on the radio but he was at his best with a live audience who could see his larger than life clothes and appreciate his rapport with people. Miller was reputed to be mean and was said never to have paid for a drink when with fans but he gave generously to charities, especially those connected with the blind. His later years were spent in Camelford Street, Kemp Town and he died in 1963. Neither his patter nor his jokes has been forgotten by fans and a statue is to be erected in Brighton in his memory. 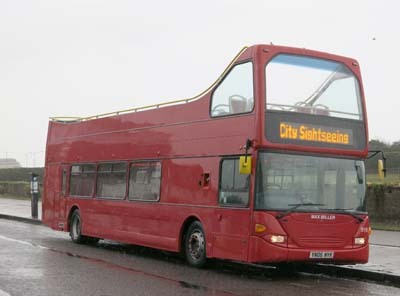 919 Scania Omnidekka open topper - carried name since February 2014, previously on 819 and then later on 808. 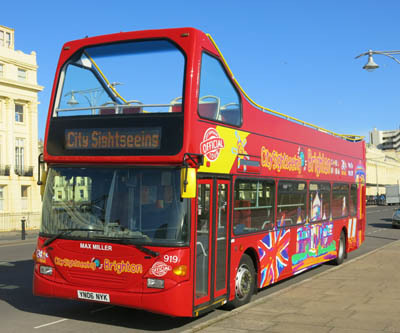 March 2015 City Sightseeing branding added.